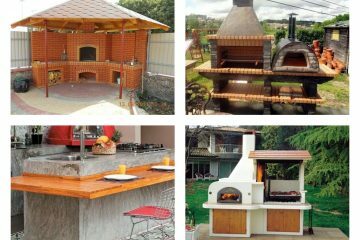 In our free time we tend to do some things for the outdoor place with the aim to beautify it and by the way to save money. It’s doesn’t mean that we need to spend a lot of money on decorating the outdoor place when we can make some crafts just with our imagination. 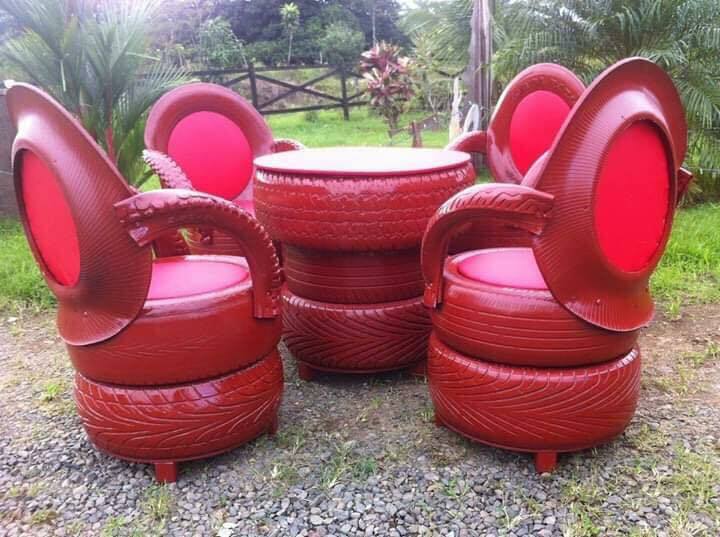 We have an imagination and creative tires recycling ideas to share with us and all you need to do is to follow us to the end of this post!!! 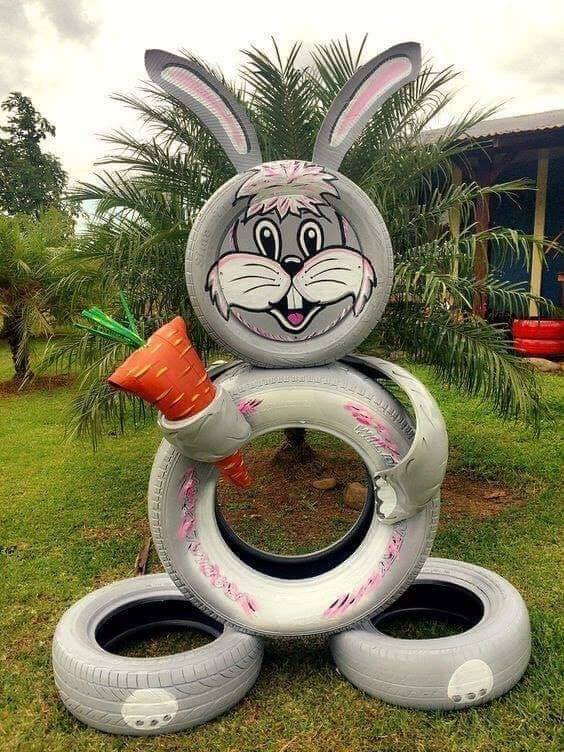 In short, you will have the chance to see how to make a rabbit by using tires, a garden edging, a seating furniture, a tires used as a planter and even more ideas that follows right now! If you like doing crafts at home and reusing the old things, please also check our last post that will give you an inspiration about how to reuse the old jeans in home! Include your children in this project and make nice looking rabbit made of recycled tires. Out this rabbit in a place visible for every person and show your creativity and be proud with yourself! If you are fed up of seeing flowers everywhere on the garden spoil, this is the right way to organize it. 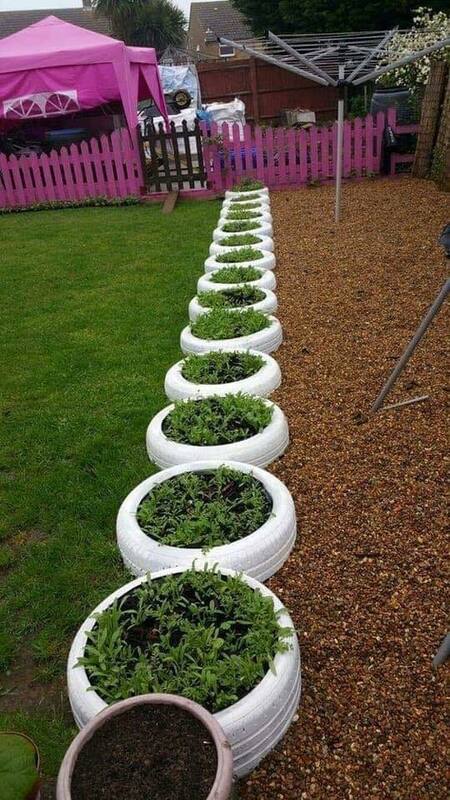 Create a planter by reusing the old tires and plant there your plants and flowers. 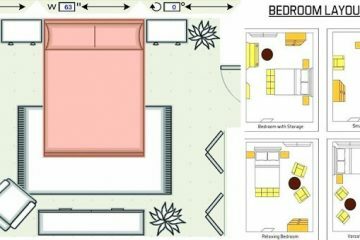 By the way, make some creation as you can see in the photo and complete the decor. Every garden needs a garden edging. You can make it with stones and rocks, also you can make it with wood but also you can make it with old tires like is shown in the photo. In the tyres, you can plant some plants and flowers. 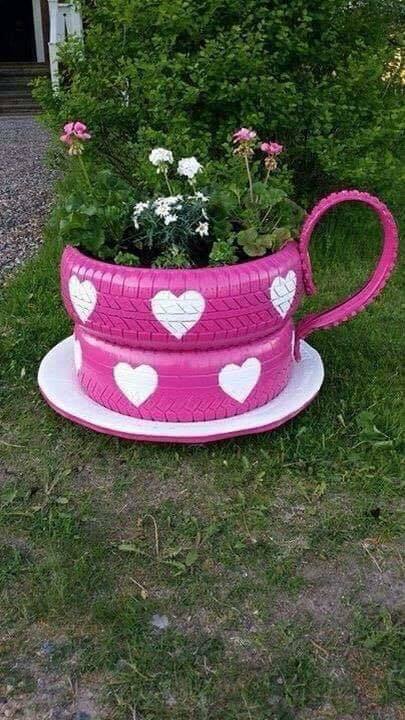 You can make a tea cup by reusing the old tires and to enjoy in the decoration. Look at this perfect decoration that will take you only an hour of your free time. why spending money on buying seating furniture for the outdoor place when you can make it by yourself and to love it! This picture can serve you as motivation for making a lovely seating area in the outdoor place. 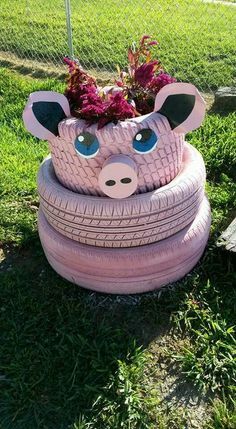 Look at this wonderful pig made of old tires. 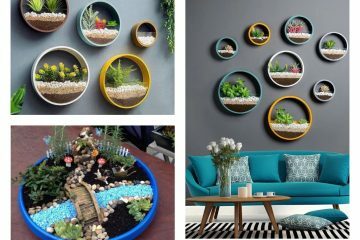 Make it for your garden place and inspire your neighbors to also make some craft similar to this one! Interesting idea! 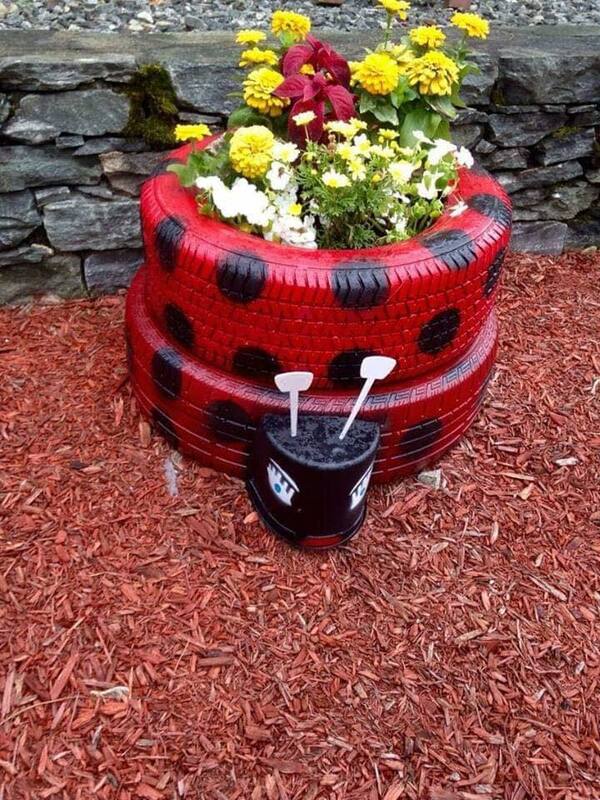 I hope that you will try to make some of these crafts in your garden and to give the old tires a NEW LIFE! If you succee to make it, don’t be shy and share it with us! Thanks for your attention!